Hi, all. At last able to be in front of this laptop without the guilt of assignments (almost, still have two to do..). It's almost that time of the year again and most shopping malls have decorated their venues with Xmas decorations! 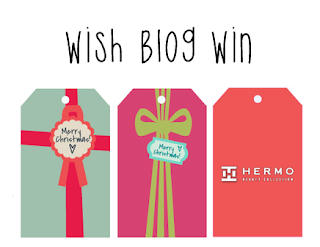 Recently I joined a bloggers' community, Butterfly Project and for this Xmas, they have a collaboration with Hermo Malaysia to grant the wishes of lucky Butterflies. How about that for a blog post? LOVE! 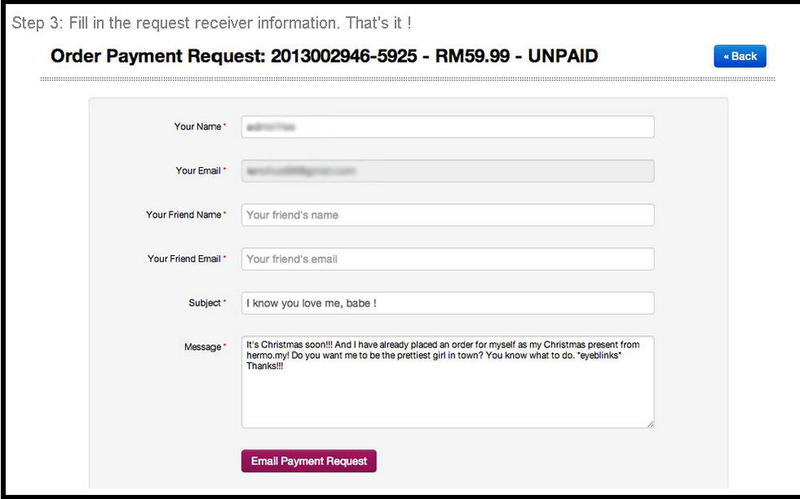 When you click on image, will direct to Tammy Lim's blog. Drop for a visit and follow her okay! Before my wishlist (which was so hard to choose, I tell you), let's explore what Hermo has for this Xmas. If you have no idea what to give for Xmas to your family, friends or special person, you could always buy them a Gift Card. 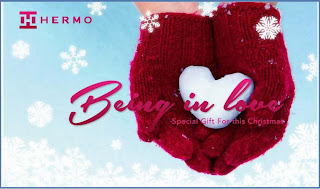 Hermo Malaysia is giving out Limited Edition Giftcards in denominations of RM50, RM100 and RM200. Second option Hermo has selected valuable gift sets so you can choose easily which one to buy and give! 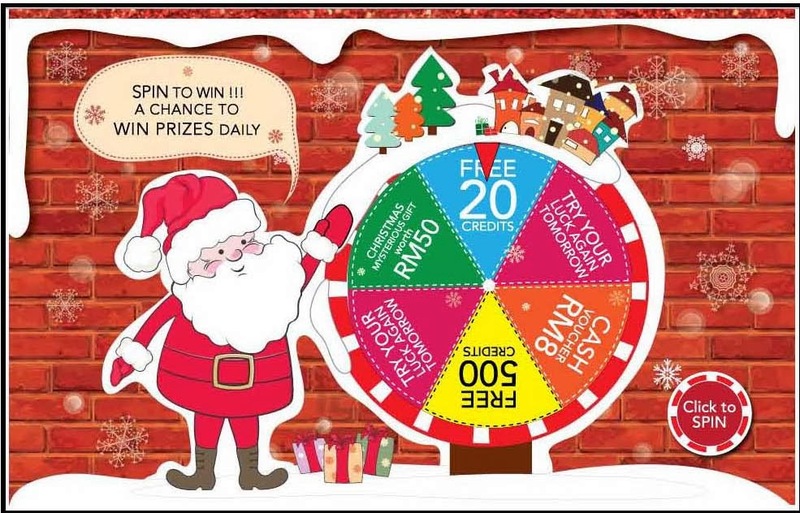 Fourth option Spin & Win! You get ONE free spin every calendar day for the chance to win Hermo Credits and Prizes. There are 26 sets of mysterious prizes for December so maybe you will be one of the lucky 26! This is from 30/11/2013 until 26/12/2013. Fifth option Being in Love. THIS is a fun one. Let's say you want something for Xmas but you can't really tell your loved ones to buy them for you, right? 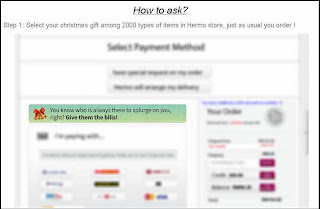 Well, Hermo has the option of sharing your orders on Facebook so that anyone interested to buy you a gift, could pay for you. Hope I have secret admirers to buy for me. *Vain much? 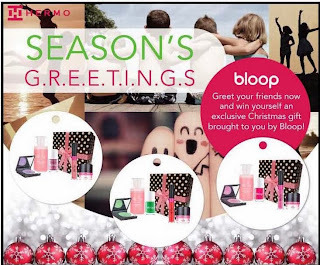 Sixth option Bloop Hermo Contest! 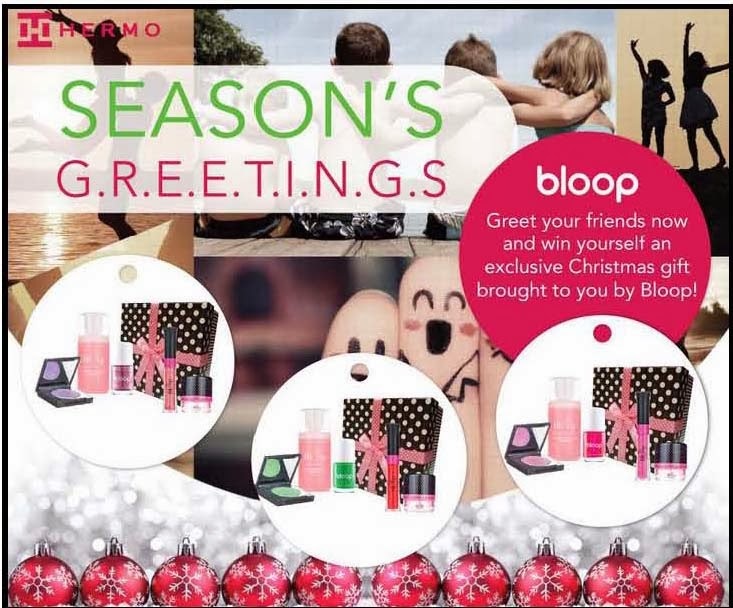 Bloop is giving out exclusive Christmas gift when you greet your friends! All you have to do is choose your greeting card (and they look so gorgeous!) and share it on Facebook. Remember to tag your loved ones and friends! Winners announcement will be on 26 Dec, save the date! End of Hermo Xmas promotions and now for my wishlist. When Butterfly Project posted about this blogging contest on Facebook, I went straight to Hermo Malaysia's website. Click and browse, click and browse; I didn't know what to choose. These were my first three products in my Wishlist. Then after much thought and consideration, I settled for this one. It's going to be my first Laneige product if Santa Hermo grants my wish! If you are blogger as well, why don't you join? 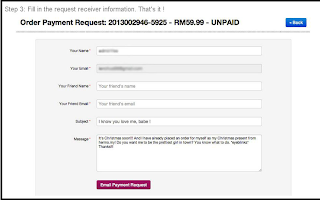 You need to register on the Rafflecopter on Tammy Lim's blog so scroll up and click on the first image of this blog. Then you need to follow the step by step tasks. 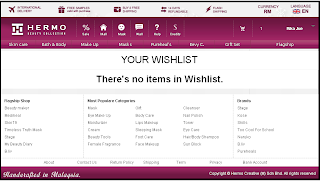 Last is to submit your blog post of your wishlist by 14th Dec 2013. 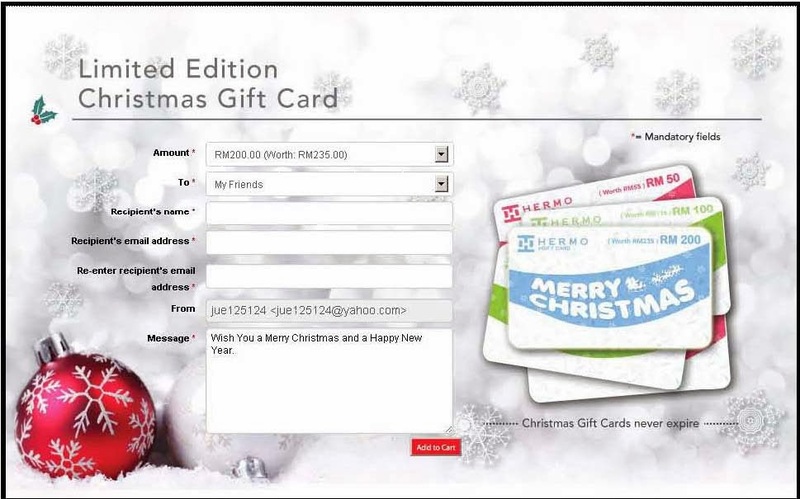 Santa Hermo will start delivering lucky wishers from 17 Dec to 24 Dec.
What are you doing now? Go browse Hermo and make your wishlist! May your lucky star shine on you this Dec (and my lucky star too! ).